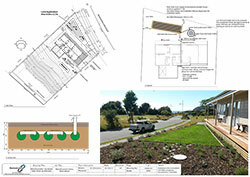 Onsite Wastewater Designs are required with Building Consents for new homes that will not be connected to the municipal sewerage system. Adding extra bedrooms or sleepouts to properties serviced by onsite wastewater systems prompts the need for an assessment of the existing system. Wastewater Design uses non-chemical, low maintenance systems that treat effluent to a safe level to enter back into our environment by designing systems that use ecological process such as evapotranspiration and natural bacterial treatment. An AES Treatment System (AWWS-3200-P) plant achieved AS/NZS 1547 secondary effluent quality performance requirements in Trial 12 of the OSET NTP testing programme. 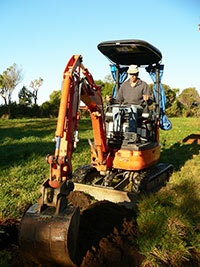 View NIWA Guideline for use of horizontal subsurface flow constructed wetlands in onsite treatment of household watewaterhere. 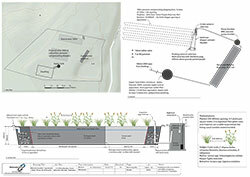 The process of designing an onsite wastewater system starts with a site and soil analysis. 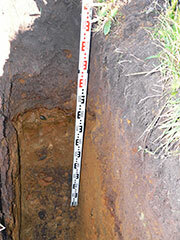 Primary treatment takes place in a septic tank where insoluble and dense material settles. Having settled for at least 24 hours, primary treated effluent is disposed of to land by way of a subsurface trench or bed. Primary treatment can be followed by an aerobic secondary treatment system that removes a large proportion of contaminants before disposal to land. Secondary treatment of effluent also reduces the area required for disposal to land and allows disposal via sub-surface drippers. Following secondary treatment, tertiary treatment may be used to kill harmful pathogens that remain in the effluent. This can be achieved by UV treatment, chlorination or filtration. Laundry, shower, bath, and basin greywater can be separated for reuse as irrigation if desired. 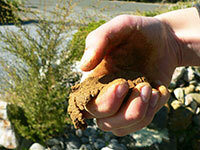 This can be achieved by a simple diversion through a greywater filtration system.